Sharing is taught very early on. Mom gives Johnny a bright new shiny toy. Without warning, she urges him to share this precious possession with baby sister. He protests, cries, and fights to keep that treasure all to himself. In the end, Mom wins. Johnny, tears staining his once cheery face, hands the toy to baby sister. She smiles and squeals with delight, giving him a big hug and a sloppy baby kiss on his cheek. In that moment, a tiny bud of joy begins to blossom in Johnny’s heart … the magic of sharing! From that point forward, sharing is regarded as a good thing. Wise would be the parent that teaches Johnny when it is okay and not okay to share, as there are times when sharing just does not work. A good exercise to help a child become more comfortable with the power of sharing is this: bring the child into a familiar space. Ask the child to look around that area and tell you something they would feel okay sharing. It may be a book, a toy, a blanket or even a puppy. Next, ask the child to look around that same area and tell you something they would not feel okay sharing. This time, the child might not feel okay sharing daddy’s favorite chair, or brother’s guitar. Keep asking the question, back and forth, until the child seems cheerful about sharing. The power of choice is a wonder gift to give. Sharing and giving have many similar traits. Often, giving is the much better way to go. You give to me a giant chocolate chip cookie and a pair of diamond or silver earrings – please do not ask me to share these gifts with you. But part of the magic of sharing is how the moment creates a bond that lasts a lifetime. For example, the maintenance man at my apartment building knocked on my door one afternoon. An elderly fellow, always happy to tell a tale and always accompanied by his dachshund, Gertrude, Paul asked me to come up to his apartment for a moment – he wanted to show me something. Apprehension was my first reaction, but his past acts of kindness quieted the beast and I followed him upstairs. He lived in a studio apartment. All of his worldly possessions were stuffed into this small, meager space. But no matter! He had a very nice TV and that is what he pointed me to. “I wanted you to see this.” He pushed play on his VCR and that magic of sharing filled the room in an instant. There, on the screen, was Sarah Brightman and Andrea Bocelli singing a duet of “Time to Say Goodbye”. I was instantly transported into the audience at that concert and into a world of sound unlike anything I had heard before. Somehow, my dear neighbor sensed that I would enjoy this performance. The magic of that sharing remains one of my fondest memories of Paul. Like the many presents under a Christmas tree, sharing comes in countless shapes and sizes. And, sharing is never more abundant than during the holidays. 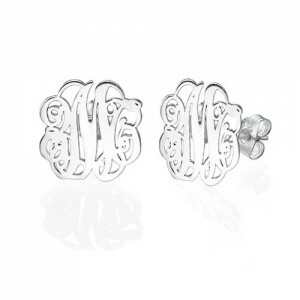 At www.christmasgifts.com , you will find more than a collection of gifts for you online shopping. Got a family newsletter to create? Scroll down on the home page and check out the wonderful collection of holiday clip art to truly brighten your newsy creation. Planning a Secret Santa party? Well, then you’ll need music. See our collection of Christmas music. And what child doesn’t enjoy snuggling up to a Christmas story. Yes, we have that, too. 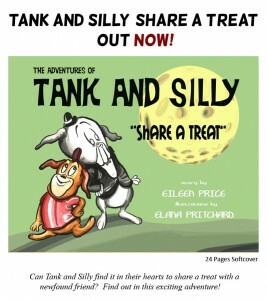 And when you share this site with your friends and family, ask them to check out one of our newest gift items – the beautifully illustrated children’s book, Tank and Silly Share A Treat.